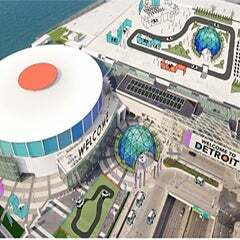 WHAT: More than 1,000 students participating in this week’s Shell Eco-marathon Americas at Cobo Center have begun to arrive in Detroit to push the limits of energy-efficiency. With a record number of teams – including 10 from Michigan – participating in the mileage competition, this FREE festival of innovation, energy and creativity will offer attendees with hands-on, interactive activities celebrating science, technology, engineering, math and energy. 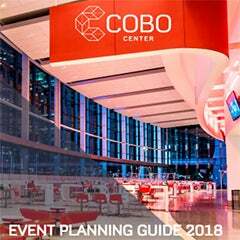 As many as 8,000 students from local K-12 schools are expected to watch the practice runs during field trips to Cobo Center on Friday, April 22. Shell Eco-marathon is a demonstration of Shell’s commitment to fostering the talent that will sustain the automotive and energy industries while helping the world meet its growing energy needs by developing bright ideas in energy transition in a collaborative and responsible way. WHO: More than 1,000 high school and college students from across the Americas– including six legacy teams that have participated in all 10 competitions from Mater Dei High School, Cedarville University in Ohio, and Grand Rapids High School among other teams from Detroit as well including the 2015 returning champion from University of Toronto. TOMORROW! Wednesday, April 20 | 9:00 a.m. – 5:00 p.m.
- Shell Great Lakes Innovation Competition: Find out what next big idea will jump start energy transition as innovators from the Great lakes region pitch their technology to a panel of judges in an effort to win $20,000 to solve energy-related issues. Friday, April 22 | 8:30 a.m. – 2:30 p.m.
- Opening ceremony with Shell Chairman Chad Holliday from 8:30-9:00 a.m.
Saturday, April 23 | 8:00 a.m. – 6:30 p.m.
- Competition begins at 8 a.m.
Sunday, April 24 | 8:00 a.m. – 7:30 p.m.
- Closing awards ceremony, winner announcement from 6:30-7:00 p.m. 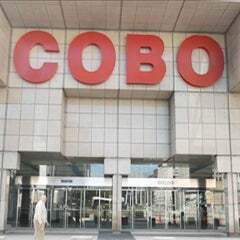 Upon arrival at Cobo Center, please visit the registration desk in Hall B, where you will receive media credentials. Downtown streets will be impacted: Downtown Detroit road closures will impact weekend traffic including street closures around Jefferson Avenue to Woodward Avenue and on to Michigan Avenue and Washington Boulevard. More information is available upon request. Important instructions for media upon arrival: All media must check-in and receive credentials at registration (located in Hall B).